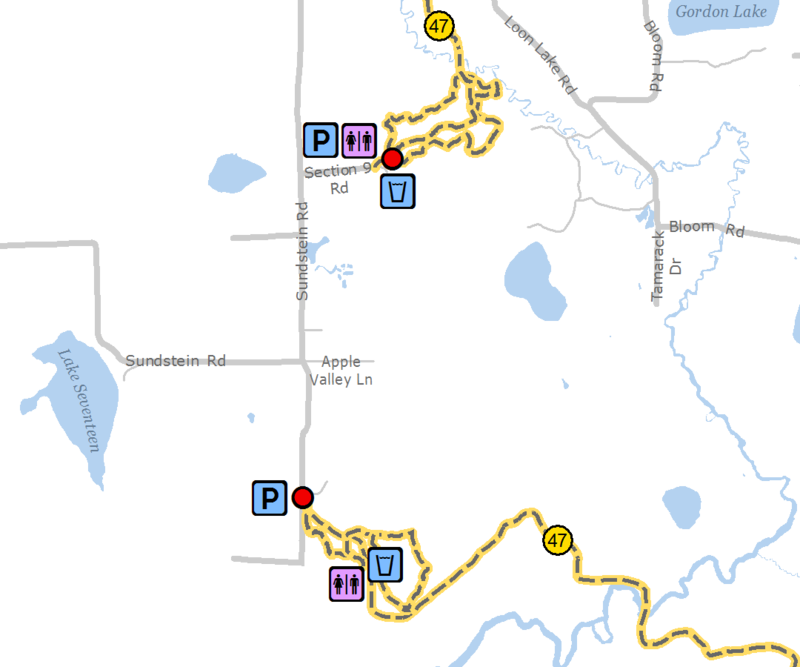 Located on private lands adjacent to the Three Eagle Trail, these public access trails in the Lincoln and Three Lakes units provide five wilderness trails with more than 10 miles of trail loops. The natural surface trails traverse uneven ground through a variety of ecosystems. Rustic boardwalks cross patches of swamp and bog. This trail is pet friendly. Please keep pets under control and leave no trace.